The Malaysian Taxi Drivers’ Transformation Association (PERS1M) is set to obtain a court order to urge taxi companies to separate the Goods and Services Tax (GST) from their daily rental rate, Bernama reports. According to PERS1M deputy chairman Kamarudin Mohd Hussain, taxi companies have been imposing GST on the daily rental rate, when it should be charged only on the insurance and permit. “Let’s say the rate is RM50 including RM30 for rental, RM10 for insurance and RM10 for the permit. Only the insurance and permit are subject to GST but the (taxi) companies are imposing GST on the total RM50 rental fare. 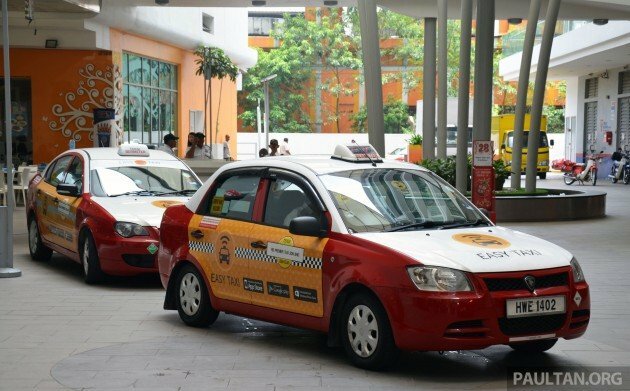 “We hope that they will be more considerate because it is really a burden for taxi drivers,” he told reporters after a dialogue session between taxi drivers and the Customs Department yesterday. According to the national news agency, taxi companies currently collect GST at rates ranging from RM45 to RM110 daily, depending on the type of vehicle. Now with 6% GST, no need also to charge car duty 75% double tax. MITI agree kah? Ingat janji turun harga kereta 30% ok! Who care you taxi driver can make a living or not? Who care the poor can afford taxi services or not? Those S class owners with chauffeur working in Putrajaya bother to give a damn? It is all about money bro!